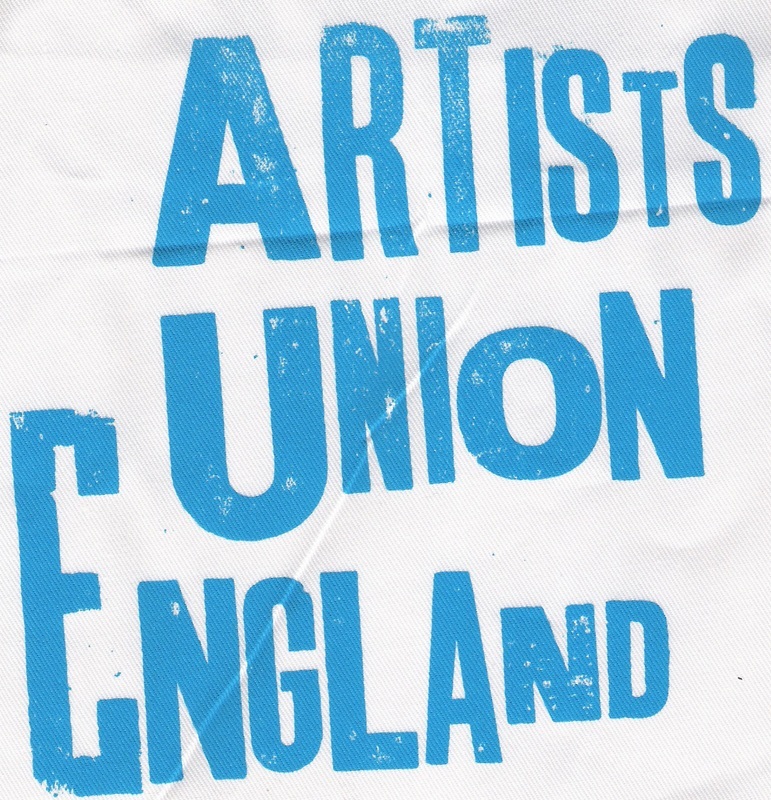 Artists’ Union England is a new trade union for professional visual and applied artists. We aim to represent artists at strategic decision-making levels and positively influence the role artists play within society. We aim to challenge the economic inequalities in the art world and to negotiate fair pay and better working conditions for artists. We aim to work with other unions, arts organisations, government bodies and cultural institutions whilst remaining both independent and transparent. We aim towards consensus decision-making, an active grass roots membership and involvement over a wide geographical spread. We need a democratic body to represent our needs collectively, who is answerable to its members and who will work on our behalf for accountability regarding fair pay and conditions. Visual and applied artists need a trade union voice which stands for equality of opportunity at every level, so as to work toward a fairer and more just society. The European Convention of Human Rights gives a worker a right to be part of Trade Union. For too long visual and applied artists have not had that opportunity. A trade union is formed when a group of workers feel they are being exploited and their interests are not being represented collectively. Unions balance the power employers have over individual workers. The Union Equity, the actors union, is 84 years old. Bectu, for technicians and media workers, as it is now, is 23 years old. Artists’ Union England has formed as a direct response to Austerity and the punitive economic measures which artists are now facing. I believe artists see themselves as an integral part of a healthy democratic society, free to express yourself, your ideas and opinions. Many artists are disappearing from public life - having to give up their studios and the small amount of art related paid work that a majority of artists rely upon for income, for example, work in education contexts, communities, gallery work and Visiting Lecturer work – applications for Residencies can now have 300 applicants; all of these avenues of funding have been decimated through the austerity programme. The occupy movement gave a focus regarding the growing excesses and inequalities within our society. Making a living as an artist has never been easy. However, the Occupy movement helped to raise important issues; of real injustice within our society, as well as openly explore and use inclusive forms of decision making: particularly through consensus. The occupy movement gave confidence to other groups of people, to demonstrate on the streets again and register their voice, to campaign with a new vigour and generation; locally, nationally and globally. Young people, women, elders, the disabled, were inspired to raise their voices and campaign for change, for a fairer society. The effect of Austerity on Artists and their working lives is no different. And this has had a direct affect. Instead of arguing the case for artists and their important role in society, too quickly I believe, the vocabulary of: ‘resilience’, ‘making do’ or volunteering – which usually means doing things for less or for free, was taken up with the art world; the terminology of ‘the market rules’, was absorbed; reacting with fear and accepting that philosophy, rather than questioning or resisting it. It is already reflected in the vocabulary of the art world now; however, the reality is, we can’t eat ‘cultural capital’. Yes, there is room for a certain amount of pragmatism and adaptation; this is what artists do, have always done, to make their art and to make a living, or they wouldn’t survive. As a practising artist of over 25 years, working in many deprived areas and communities, my ethical code of practice means I believe in equality of opportunity. But that needs to extend to artists as well. What artists in the visual arts sector have never had, is a democratically accountable organisation there for you when agreements are reneged upon; contracts promised then pulled, or even disappear completely; where art festivals think it is ok to apply for £30,000 of public money and all they offer artists to make a new piece of work within that festival is £50; this is unprofessional and unacceptable and this is where a Union comes in. What happens when organisations don’t pay, don’t stick to agreements? A Union can not just negotiate for better pay and conditions and give advice, but can personally represent that artist at a meeting, with an employer/commissioning group, residency or gallery. Suddenly there is someone there with you, beside you, fighting for your rights and in your corner. When you have budgeted that a particular piece of work will pay for your bills and food for the next month, and that contract is pulled, what recourse do you have? What can you do? A Union can help fight for you, to get that pay, that contract paid. Another great thing about a Union is, that if your Union is affiliated to the General Federation of Trade Unions, or the TUC – therefore becoming part of the wider Trade Union family – The Movement – then any member of the union can become trained to be a Rep or representative, so that the Union can have a whole geographical network of artists who are informed, trained and who support one another. The members will be there for one another, the members are the Union. Early in 2013, I and two other artists, Katriona Beales and Sally Sheinman, began seriously investigating how we could set up a Union for Artists. In September 2013 we pulled together an enthusiastic and committed team of other artists, who also believed by forming a Union, for ourselves and for others, that this would be one other avenue which would help artists in their working lives, where there was a vacuum. We wanted not just to have a powerful and democratic voice – which is important – but an organisation such as a Union, means it is owned by and accountable to, its members. As a Union we can help regulate relations between ourselves and those that employ and engage us, on behalf of our members, and therefore improve artists’ lives, pay and conditions of work. And artists will be doing this for themselves. As workers lose their jobs and work in an increasingly unequal and ‘blaming’ society, the focus on the role and values of Trade Unions has risen again. Along with the resurgence of the feminist movement, the role of a union and its long term values for change and a better society, Unions help campaign against racism, sexism, homophobia, disability discrimination, ageism of any kind, either in the work place or in society, and their work toward equal opportunities is needed as much now as ever. another, network, collaborate, share ideas, working practices and concerns, thereby not becoming isolated members of their arts community or society; if you are on your own the harder it is to be heard; feel you have a voice or included, artists can become disenfranchised. The mental health of the nation is becoming worse, paid art work is very competitive, workers are scared to stand up for themselves, artists know how vulnerable they are in the workplace, which means they’re open to practices of exploitation, workers are pushed to work longer for less, to volunteer where there was paid work and forced onto zero hour contracts. A report by the Resolution Foundation has recently confirmed this regarding the self employed, that is, that 20% of the self employed are worse off, than in 2008! I would argue that the value of art has never been so taken for granted. I can’t imagine there are many households without a TV, books, music, mobile phone, toys, posters, magazines, games and yet all of these products artists have spent their expertise, knowledge and training to design and make real. We need to argue for the role of artists within society. Yes we need bread before we need roses, but not instead of. With the decision to withdraw the small EMA or Education Maintenance Allowance in 2010 – which often enabled young people their first real taste of independence, with travel to and from college affordable for the first time, for some young people, and to increase tuition fees threefold to £9000, the question of equality of opportunity, is a big question for the Arts Community and society. One which, as a trade union, I believe we should be campaigning to change. A whole section of society will be denied access to training in the fine arts as it is so unaffordable; it will inevitably become more exclusive, so that the long standing belief and bias that art is only for the elite, will again become a fact. As an artist activist I have lobbied for public funding to become transparent and show that when public funding is received by organisations, then they should be accountable to that body and prove they have used those funds to pay artists for the work they have done. Artists are often amongst the people on the margins of society – the now ‘working poor’, who are really struggling to survive, the union has formed because you are stronger together; to help artists have a democratic collective voice, so as to lobby on behalf of them, help to improve their working lives, negotiate, argue and regulate their pay and conditions and have a place alongside the family of unions, such as Bectu, Musicians Union and Equity. This launch is a proud moment for artists to work democratically together for change; we claim our place in the very proud history of Trade Unionism and look forward to a growing Union of informed arts workers who can themselves have the tools and knowledge to support one another for a more just and fairer society, which includes artists.